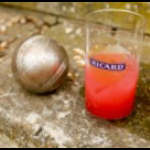 Enjoy a little taste of Provence at home.For a quick and easy summer tipple, why not try one of these delicious Ricard cocktails? Simply stir and pour in a small glass over ice. Voila! Simply stir and pour in a small glass over ice. Et voila!